If we ask our parents about their life when they were young, assuming they have currently hit their 50s or maybe 60s, we would all be familiar with the term ‘the era of landlines and telegrams’. Fashion was more of what you see around than what you hear or read about. A musician must have performed wearing bell bottomed jeans in an university campus and that was a trend the students then adopted. However, there was a change in the mindset of consumers soon afterwards. The internet was introduced in 1995, and in 20 years its use has grown 100 times to reach over one-third of the world’s population. Then came 21st century bringing creative innovations in the field of social networking and social media, using internet superpower. Today’s millennials are the major users of these and are thus termed as the ‘connected generation’, with 80% owning mobile phones and 75% having social media profiles worldwide (Source: CMO).This ease of networking makes them more likely to talk about a brand, write a blog about it, and even more likely to post a peer review online about a product. As a result of all these knowledge sharing they are considered as a bureau of answers to the questions like ‘what facial product should I use? What device should I use?’ etc. Moreover, as an owner of this pool of knowledge, they are more expected to make perfect price comparisons while making a purchase. Thus, in order to get their attention, brands need to be in the network themselves and connect with them. So brands which have been focusing on the baby boomers require a serious reality check. However, are their behaviors actually that different? If a brand is considering spending a lot on advertising, they should rethink. 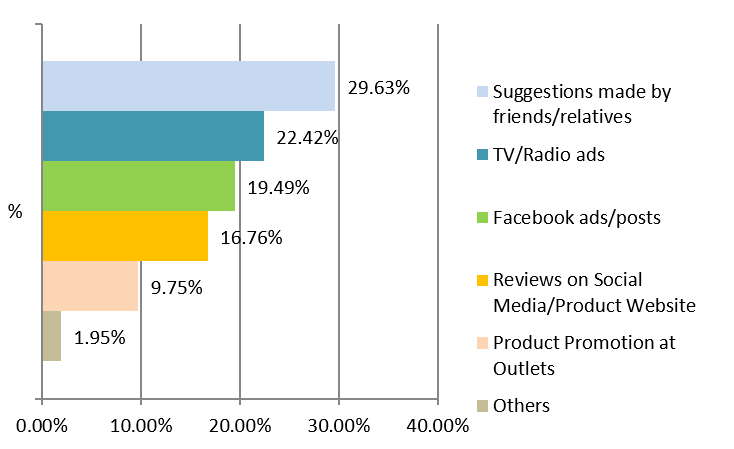 In a survey conducted by LightCastle Partners, only 22.4% responded that they decide on a brand based on TV or radio advertisements, and even lower responded to facebook advertisements. No wonder, we all download adblockers, as the ultimate solution to avoid those annoying banner advertisements filling up our screen corners. Millennials consider them as something not authentic, a factor they highly give importance to. They would be more willing to build a trust with a brand and value loyalty. Once again, it is clear why the survey shows that about 50% would more likely respond to suggestions made by friends or relatives, facebook posts and online reviews in various social platforms. Moreover, above 75% responded that they will prefer quality over any brand status or celebrity endorsement. 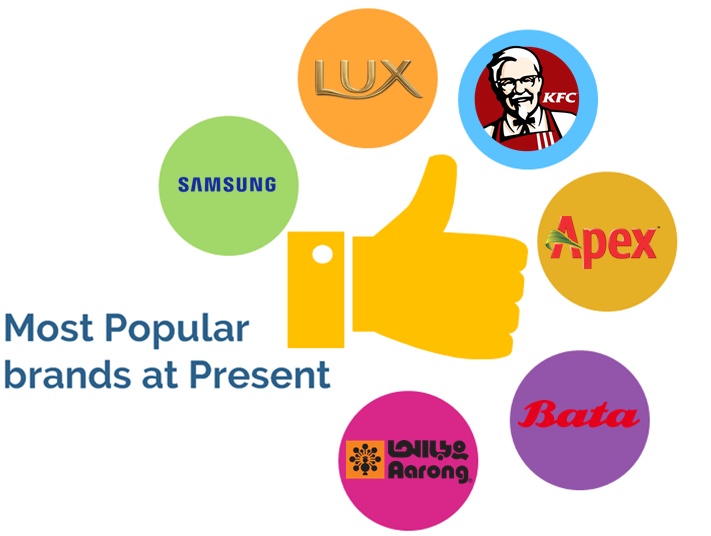 So, what is it that makes these brands so popular among the millennials? There are certain key factors that turn these brands into the most beloved brands of the millennials. One thing that all these brands share is high quality products. These brands charges the consumers relatively higher price compared to its competitors, while keeping their promise to maintain the certain standard. Moreover, these brands have been successful in modifying their products to meet the lifestyles of the millennials. For example, Samsung invested in many campaigns that focus mainly on the millennials sharing culture. On the other hand Apex designed shoes that matches with millennial’s fashion trend, example driving shoes, loafers and suede leather boots. Other important factors are showing importance to social responsibility and coming up with motivational slogans, which sets an energetic and positive outlook that is much admired by the millennials. A study conducted by Goldman Sachs projects that consumer spending by the Millennials will increase by 15%, and that of the baby boomers would decrease by 10%. As a result, millennials will eclipse baby boomers by spending influence. Moreover, despite the fact that in the near future wealth will be transferred from the baby boomers to the millennials, their inheritance is not likely to have any effect in their buying behavior. In the survey conducted by LightCastle Partners, when the respondents were asked about their brand aspirations, their decisions were barely or not at all affected compared to their responses about current brands they use. Asking what are the Key takeaways from this analysis? Firstly, the brands should try to build a connection with the millennials. They should aim to create a platform where the millennials can participate. This can be done for example by developing contents that promote sharing. Moreover, the brands should have a cause which would allow the millennials to align themselves. Brands need to focus on products that are convenient to use and unique. The consumers can be involved in marketing strategies and also in the development of a new production line. Advertisements that speak directly to the millennials personal life can also act as an access to their network. Secondly, millennials live a dynamic lifestyle and the brands must recognize this. Without constant innovation, in products, pricing and marketing, the brands will not be able to survive. However, this must not disrupt the brand loyalty, which is also important to the consumers. Lastly, focus where the millennials are; social media and mobile phones. It is important to reach them first in order to shape the millennial economy. Hope this gives you a gist of the topic. However, if you are interested to know more, please check out http://www.lightcastledata.com/drive/ and read ‘Brands that Millennials Love’, an in depth report prepared by LightCastle Partners. Mahir Abrar Nikhat is working for LightCastle Partners as a research associate. He graduated from the University of Hong Kong, majoring in Economics and Finance, and is currently doing his masters at North South University, in Economics.